The Florida Board of Nursing plays a leading role in the ever-changing health care environment through dialogue with the public, the legislature, academia, and the community. The Board consists of seven members appointed by the Governor and confirmed by the Senate. Five members are licensed opticians and two members are laypersons. Despite the expiration of their term, Board members continue to serve until they have been replaced. The Department of Health's Division of Medical Quality Assurance serves as the principle administrative support unit for the Board. The Board is supported by a full-time professional staff based in Tallahassee, and its regulatory functions are funded in full by fees paid by its licensees. Board members are appointed by the Governor and subject to confirmation by the Senate. Unless filling a vacancy, members of the Board generally serve two four-year terms. Despite the expiration of a term, Board members can continue to serve until they have been either replaced or reappointed or serve the maximum of ten years as governed by s. 457.103, F.S. To learn more about becoming a member of the Board, visit the Governor’s Appointments Office website or email appointments@eog.myflorida.com. To learn more about the licensure process, select the type of license you wish to apply for from the list of professions on the Licensing Page. The Board has made every effort to include the information you need to apply or renew you license on this website. You can visit our Help Center, FAQs and Resources page for frequently asked questions, links, forms, applications and other helpful information. Licensees of the Florida Board of Medicine are required to renew their licenses biennially in order to maintain the right to practice. To learn more about the renewal process, select the type of license you wish to renew from the list of professions on the Renewals Page. 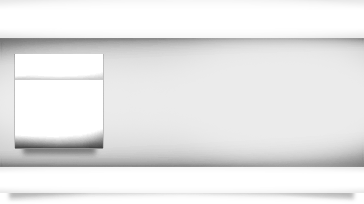 Our Resources Page is a tool for accessing applications, forms, publications, statutes, rules and other important information. The Board meets bimonthly, generally on the first weekend of the month. The full Board meetings include disciplinary cases, licensure approvals, correspondence items, committee reports, policy discussion items and other necessary Board actions. Jim Puente (MS, MJ, CAE), Director, Nurse Licensure Compact will lead a series of brief webinars during which he will discuss topics related to NLC. Some RN/LPN licenses are being deactivated as part of the ongoing implementation of the Nurse Licensure Compact. Click here for info about this process & why it’s happening. Click here for more information regarding the difference between RN/LPN renewal and RN/LPN compact upgrades for 2019 licensure renewals. Click here to find out more information about the newly elected Board of Nursing leadership officials for 2019. Florida Department of Health issues Hepatitis a health advisory; encourages vaccination. Click here for more information. Effective October 1, 2018: Chapter 2018-106, Laws of Florida, changes Advanced Practice licensure. Click here for more information. 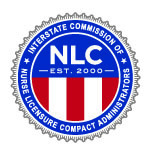 The Nurse Licensure Compact has issued a notice of Enhanced NLC Proposed Rules and Notice of Public Hearing. For more information, please click here. Learn more about the new quick reporting feature to report all of your CE/CME hours completed with the same approved organization at one time. Welcome to the State of Florida’s Online Resource for Certified Nursing Assistants, Licensed Practical Nurses, Registered Nurses, Advanced Practice Registered Nurses, Training & Education Programs Licensure, Renewal, and Information.